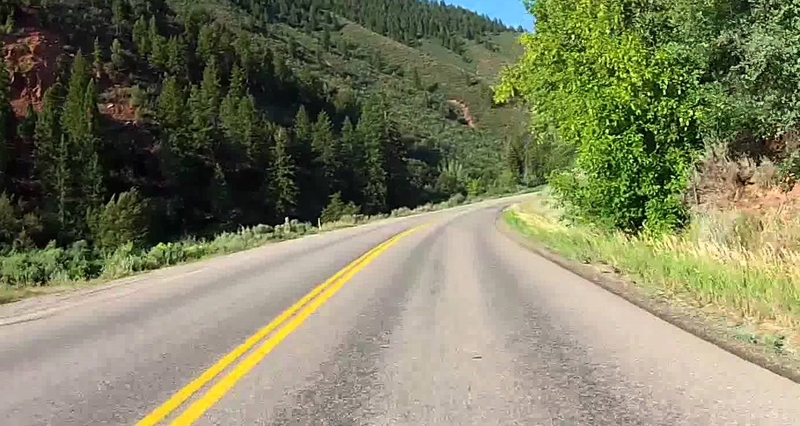 Council members are concerned that logging-truck traffic will pose danger to the many bicyclists, campers, boat enthusiasts and anglers using Frying Pan Road. The project would generate an estimated 700 to 900 truck trips on Frying Pan Road and through Basalt. “What’s sticking for me is we’re not a logging town, we’re a recreation town,” Councilman Auden Schendler said Tuesday night in a meeting between the council and Forest Service representatives. Basalt town government and the U.S. Forest Service are at loggerheads over a proposed timber sale in the Upper Fryingpan Valley. The Basalt Town Council wants 233 acres around Diemer and Seller Lakes eliminated or significantly reduced from a vegetation-management project that will cover about 1,800 acres. Basalt wants the 233 acres eliminated because the timber harvested there will be hauled out of the forest via Frying Pan Road and through Basalt. “If you’ve lived in a logging town or been in logging country, those trucks are absolutely frickin’ terrifying,” Schendler later added. The project won’t affect weekend warriors, but Frying Pan Road users would be dealing with extra truck traffic during the week (see fact box on page A12). Most of the targeted acreage for the project is south of the Harry Gates Hut, north of Frying Pan Road. That is northeast of Ruedi Reservoir. Additional scattered terrain for the proposed timber sale is northwest, west and southwest of the hut. Most of the timber products would be hauled out via the Thomasville-Eagle Road, past Sylvan Lake and through Eagle. But the timber harvested from the Diemer and Seller Lakes area cannot be hauled out on that route, according to the Forest Service. Timber and wood chips must be brought out via Frying Pan Road and Basalt. Aspen-Sopris Deputy District Ranger Erin Carey said the agency hasn’t made any decision yet on the project. A final environmental assessment and draft decision will be released in spring, most likely in May, she said. District Ranger Karen Schroyer could select to take no action, approve the proposed action or a blending of alternatives. That will trigger a 45-day objection period. A final decision could be issued in June or July, then the contract could be put out to bid. The earliest that any logging could start is 2018. NO FEAR FOR WEEKEND WARRIORS Whatever direction the Forest Service takes on the proposed Upper Fryingpan Vegetation Management Project, cyclists, anglers, campers, hikers and boaters won’t be forced to contend with logging trucks on weekends. The U.S. Forest Service contract for the timber project will prohibit logging and hauling from noon on Fridays until midnight on Sundays for the duration of the project, according to Aspen-Sopris Deputy District Ranger Erin Carey. The agency will prohibit travel on forest roads, so that will mean no traffic on Frying Pan Road from logging trucks, she said. The Forest Service disclosed in a Jan. 27 meeting with Basalt staff and other stakeholders that it was not willing to consider removing the 233 acres from the project at that time, according to Town Planner Susan Philp. So Basalt staff and Forest Service representatives took the council’s temperature Tuesday on two alternatives: restricting the timber hauling to winters or removing seasonal restrictions altogether. Carey said removing restrictions would shorten the duration of the project. If hauling could occur in any season, there would likely be a two-year contract for the job and work could be finished in as little as three months, she said. If hauling is banned in summers, the agency would go with a four-year contract and work would take three or more seasons, according to Carey. “Obviously the more restrictions we have as we go out to bid, the fewer bids we might receive,” Carey said. She said she understands Basalt’s concerns and they will be taken into account in the environmental review that is underway. “There will be an impact to the town of Basalt,” Carey said. Each alternative has advantages and negatives — reducing the number of trucks on any given day relieves pressure but lengthens the duration, she noted. Removing restrictions shortens the duration of the project but increases the intensity. “Whenever you talk about logging in these areas you get a real positive response — and I’m saying that sarcastically,” Councilman Gary Tennenbaum said. He said he understands that logging can be beneficial, but it’s a tough sell to most people. “When they hear 700 to 900 trucks coming down the Frying Pan over two summers — it seems like it’s a lot of trucks,” he said. The town government submitted formal comments to the Forest Service in December asking that the 233 acres be eliminated from the project. It reiterated that position Tuesday. Grauer asked the Forest Service to consider requiring the logging trucks hauling timber and tractor-trailers hauling wood chips be required to stick to a 25 mph speed limit on the county road system. Carey said the federal agency has no jurisdiction on the county road and couldn’t make the lower limit part of the contract. The council was unable to unify on longer duration and less intensity of traffic or shorter duration and greater intensity. It decided to reiterate its request that the 233 acres be eliminated from the project at the suggestion of Mayor Jacque Whitsitt and Schendler. Schendler said the limited benefits of the project weren’t worth the risks to Basalt’s economy. “If one person gets struck by a logging truck and killed this whole council is going to feel like we made a wrong decision,” he said.